Let us not try to erase our path. Let us not blindly follow. Let us shatter the glass. Life is a never-ending journey of self-discovery. We are constantly off-balance, striving for stability; lost, trying to find ourselves; understand ourselves; know ourselves. Who am I, in relation to the world that surrounds? Who am I, in relation to myself? Such is the basis for -ness’ brilliant debut album, whatever’s unclear to you, it’s the same for me. 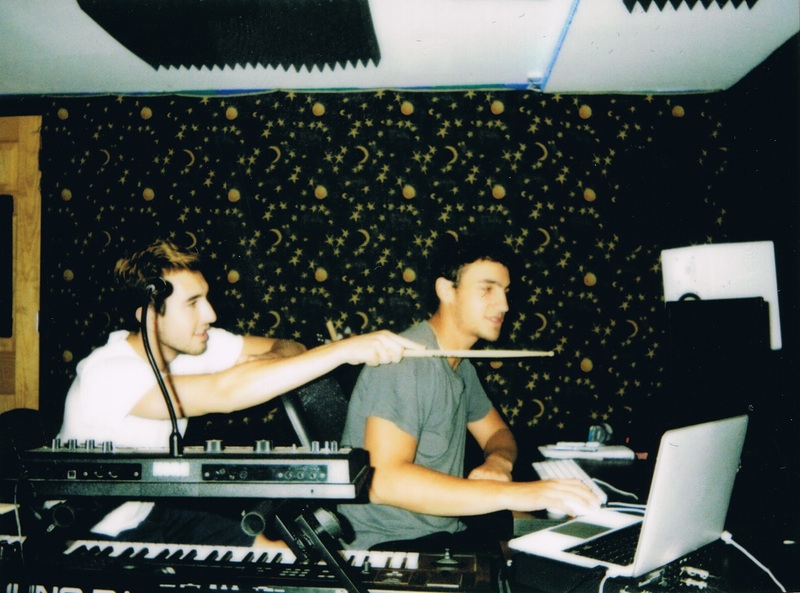 The songwriting and production duo of Ethan Peck and Jesse Weisberg explores the individual experience through a range of colorful and experimental indie pop-styled music. Upon the first listen, one can sense that whatever’s unclear to you, it’s the same for me is an important album to its creators. Upon the second listen, it becomes obvious that whatever’s unclear to you, it’s the same for me is an important album for everybody. Thoughtful and provocative songwriting that is as much poetry as it is lyricism connects listeners to -ness’ journey, and in turn brings them back to their own journey as well. 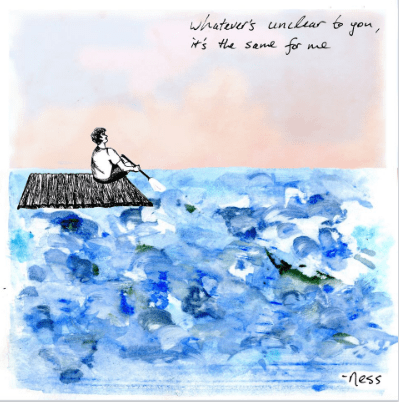 A deeply personal and profound work, -ness’ whatever’s unclear to you, it’s the same for me captures the individual’s never-ending quest for balance through moving music and touching words. At its heart, -ness’ debut centers around balance – “the balance between experience, information, and emotions that we take in, and what we create and give back to the world in return.” Says the duo, “We felt as if our balance was strongly offset… overwhelmed and lost in what seemed like endless narratives and ideas that weren’t our own.” A concept album of sorts, whatever’s unclear to you, it’s the same for me revolves around a fictional character and his journey as he sorts out his own life balance, “in an effort to reach a more authentic version of himself.” Interspersed in-between six traditional song tracks is a poem that speaks to, and follows the main character’s journey – a further indication of the intense emotion and reflection that went into the making of this record. Peck and Weisberg embedded their wide-eyed world of uncertainty and hope into their music, blending careful and conscious storytelling with mesmeric instrumental melody and characterization to turn that concept into a breathtaking reality. In an effort to further emphasize the story as a whole, the album was designed to be listened to as one continuous, uninterrupted track from start to finish, as is thus presented above. A track-by-track stream is also available at the end of this article. An initial external examination of top-down enforcement instills fear of brainwash-type behavior; of thinking the way one thinks because one was told to think that way, rather than because it’s right. We all eventually reach that place in life where we need to figure out who we are for our own sake; to escape the parental shadow and come face-to-face with who we really are, or rather, who we’re meant to be. Most, if not all cultures have coming-of-age ceremonies, moments of recognition for the transition of a child, who learns and absorbs, into an adult who continues to learn and absorb, but also thinks for oneself. We have all been tangled up like that before; it is human nature. We lose sight of ourselves, break away from our path; our internal monologue becomes unclear, in quite a literal sense. This eventually leads to that need for self-empowerment and action. The character vividly feels a mess inside, and it’s out of this state that whatever’s unclear to you, it’s the same for me develops. -ness guide us through their own cathartic journey toward self-knowledge and balance on their debut album while simultaneously helping us find the words, the music, and the emotions to express ourselves and our personal journeys. A deeply introspective work of art, whatever’s unclear to you, it’s the same for me comes at a time when everyone needs an anchor. A vicious election cycle has just ended in a heavily divided nation, with the entire world watching. As the new year approaches, thoughts of the past, present and future creep into our minds. A little soul-searching might do us all some good. Who am I, in relation to the world that surrounds? Who am I, in relation to myself? With a little help from -ness, we can find balance, too. Experience whatever’s unclear to you, it’s the same for me in full via our exclusive stream, and dive inside the songs with Atwood Magazine as -ness provide their personal take on their powerful and promising debut album. The first track on the album is actually one of the last tracks written for the album and samples the song that follows it (The Propagandist), leading right into the track itself. Gravity pulls strongest at high tide, and this song is meant to reel you in and paint the setting of our world around you. As the first full song on our record, “The Propagandist” establishes the setting in our story that begins the character’s journey to find his authentic self. This song originated from a place of deep uncertainty about what to believe in religion, politics, media, who to trust, what to do with our lives after college, etc.. We were looking for a philosophy, a way to think it all through and make this life our own, instead of just molding into a cluster of narratives injected into our everyday lives. Given some of these cynical elements, one might expect the track to sound dark and looming; however, it has a much more positive feel, forming a deceptive relationship between its sound and meaning much like propaganda itself. “The Fisherman” is the heart of the album. Where ‘The Propagandist’ resembles our character’s predicament, “The Fisherman” is the beginning of his journey to resolve that predicament– and is the start of a journey not the most beautiful part? This song is about the search for authenticity. It’s about trying to build a belief system for how you live your life, outside the lens of what you’ve been taught. It’s about establishing your own unique moral compass. If you throw away all the responsibilities and expectations that other people or doctrines have for you, what’s left? This is the question that ‘The Fisherman,’ brings to light and propels our character to embark on this journey. And most importantly, by the end of the song, our character comes to terms with the fact that his search for authenticity does not have any quick or easy resolution. This track marks the end of the character’s journey, where he is finally able to find some closure. It’s kind of like– you know what, I’m satisfied with living in a world where most things are unknown or uncertain, and if we can agree on anything, let’s come together and move forward with that understanding. This is a maturity that, up until this point, we haven’t seen much from our character; a maturity that may be partly credited for the realization behind the ideas in the next song, Tunnel Vision– which cannot be overlooked to truly complete the narrative. “Tunnel Vision” is sort of the album’s disclaimer after our character’s journey is complete. It’s a reminder that not all are put in a position where they have the tools necessary to embark on a journey at all. “Tunnel Vision” is about people who are born victims and don’t even know it— people who never had the freedom to choose their own life or even understand that they had that privilege. It was very important for us to not overlook this aspect, only telling a one sided story. 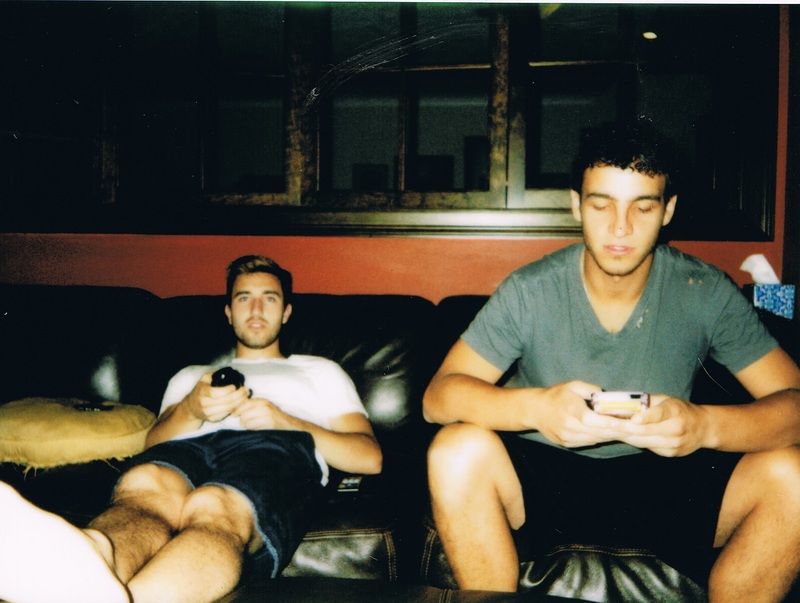 “Low Tide” is the final track of the album, bringing our story to a close… or does it? By now you have noticed all the water and ocean references on this record – one central theme of this ‘journey,’ is that it has no visible end, much like a droplet of rain in the water cycle. So, we imagine the album flowing endlessly from “High Tide” to “Low Tide,” recycling over and over again. Our hope is that with each listen you can understand more about our character’s journey and maybe even reflect upon your own.